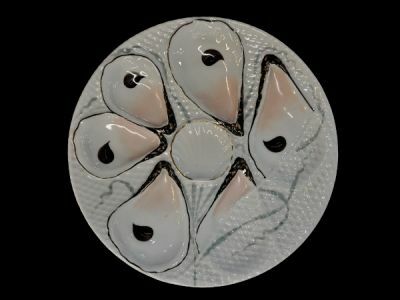 An asymmetrical oyster plate with six oyster shell shaped compartments of various sizes surrounding central scallop shell shaped compartment. Details in grey, black, pink and some gilding on white. Measuring 21cms (8.3 inches) across.